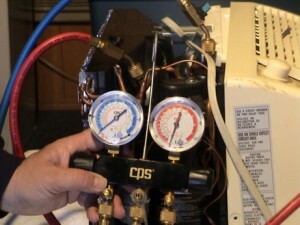 Refrigeration - Elders Service Co. Annual Planned Service! Why is it so important? Annual planned service prolongs the life of your equipment and reduces costly emergency calls. Annual planned service also reduces the amount of your energy bill. Refrigeration, Air Conditioning, and Heating equipment performs most efficiently when it is properly maintained and serviced annually. You will have documentation of the annual service performed on your equipment which is beneficial to manufacturer’s warranty. Most importantly you will have peace of mind knowing your equipment is properly maintained and operating safely. Don’t wait call us today to schedule your Planned Service. We consider ourselves partners with our customers. Elder’s Service Co. LLC realizes that our success depends on your success. Whatever your needs, we can install, service and maintain it for you. Our goal is to maximize system performance, maximize system service life and minimize cost of ownership. We can provide you with responsive emergency service, customized maintenance programs, parts and components, retrofit projects, and equipment replacement. Elder’s Service Co. LLC is safety and quality conscious. Our employees are fully trained and experienced in all areas of HVAC. We use above standard refrigeration practices in all situations.